Barnard has lived at VINS longer than any other bird. She was brought here in 1985 emaciated (weighing under two pounds), and treated for an injury to her left foot. Barnard’s hallux, the powerful backward-facing toe that is essential for catching prey, is paralyzed, and she would starve if returned to the wild. Despite her age, Barnard has proven herself to be one of the more aggressive birds cared for at VINS. 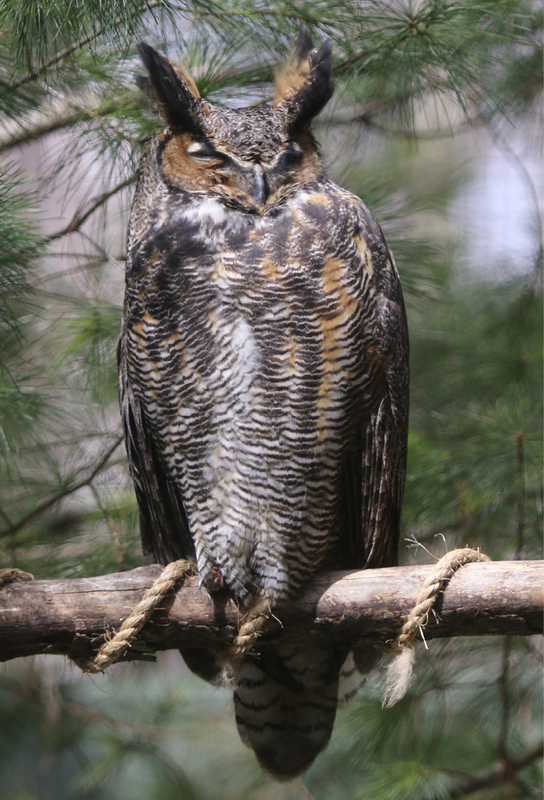 During the Great Horned Owl nesting season, from October to March, Barnard has been known to swoop down at volunteers and staff that enter “her territory.” When Barnard has made contact, she does so with a closed foot, exhibiting aggressive behavior. All of our exhibit birds receive biannual health checks and a variety of nutritious food, thanks to the Center for Wild Bird Rehabilitation. Our owls eat mostly mice, rat, and rabbit with plenty of fur. 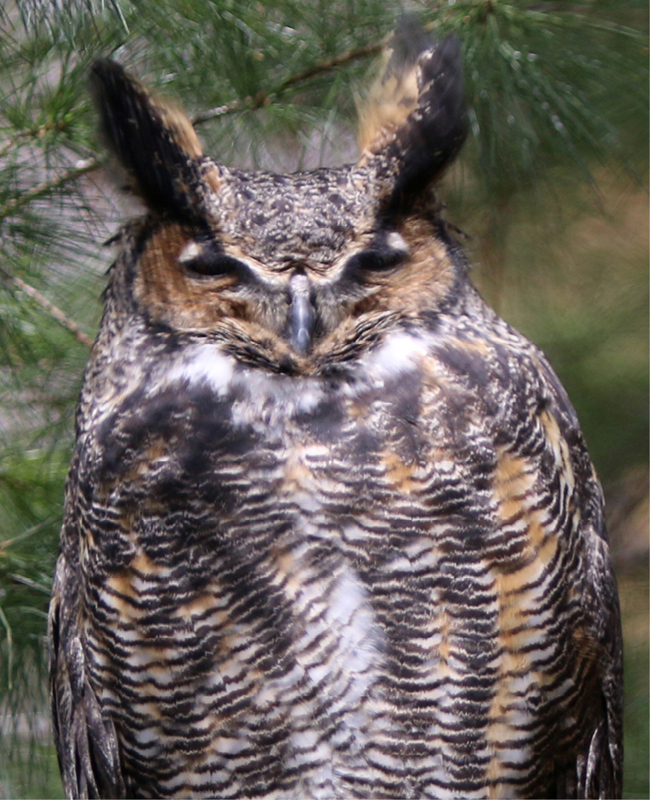 Furry food helps our owls create and regurgitate healthy pellets containing indigestible parts of their meals. 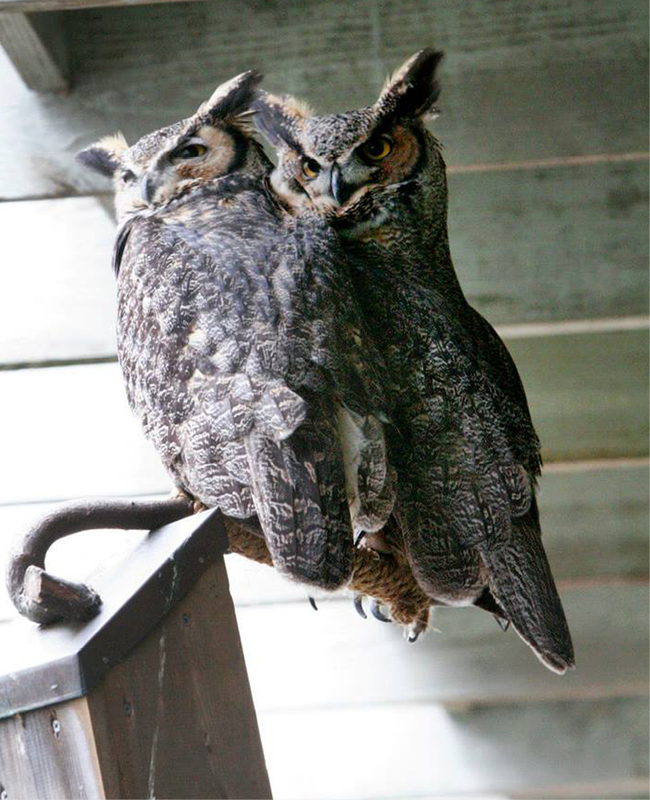 Thank you for helping support the care of our Great Horned Owl, Barnard, through the RISE Adopt a Raptor Program. Together, we can protect our natural heritage through education, research and avian wildlife rehabilitation. Adopt Barnard for $25 and receive an Adoption Certificate, Species Fact Sheet and Digital Photo.